Leaving My Money With My Previous Employer | Crank It! So you have or are leaving your current employer. Whether this was your choice or theirs you now have a lot of thinking to do regarding your 401k. 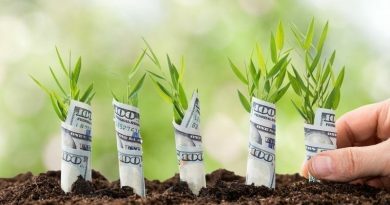 You need to sit down and spend some time thinking about what you intend to do with your investment and decide if a 401k rollover, cash out or keeping your money where it is, is the right choice for you. You need to think long and hard before making a decision about the money you have in your retirement fund, as some options may mean that you have to pay more taxes on your distribution. Understanding all of your options and how each of those options will affect your retirement savings could be the difference between having a nice relaxed retirement and having no retirement at all. The option I am going to talk about now is leaving your retirement investment with your previous employer. I am going to discuss this first, rather than a 401k rollover or cash out option because when you leave your job you may not know exactly what you want to do yet. I want you to know it is OK to leave your current investments where they are and what the rules are for doing so. Take some time and do some research. Depending on your companies rules (I suggest getting a copy), to keep your retirement savings in your previous employer’s retirement savings plan usually means you must have a balance of $5,000 or more. Some companies may only require that your balance was over $5,000 at any given time. The good news with this option is your money will continue to accrue tax-deferred, you still maintain control over how the money is invested among the companies’ investment options, you will continue to receive quarterly statements and if in the future you want to rollover your investments to a new employer who has a qualified plan or to an IRA you can do so without penalty. However, the drawbacks are future contributions may not be allowed or will be restricted, you may have limited access and your money is in the hands of your former employer. With some companies if you are over the plans designated retirement age or are 62 years of age or older, your previous employer may insist you take a payout. Companies tend to do this to decrease the administrative costs. If this situation does occur, do not fret as you still have other choices. Unfortunately you just don’t have the luxury of leaving your money where it is at while you figure out your next move. 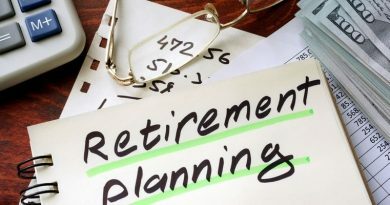 Leaving your money in your previous employer’s retirement savings plan is a good choice if you are unsure whether you want to cash out or participate in a 401k rollover and need some time to figure it out. Another good reason to leave your retirement investments where they are is if you are quitting your job to start your own business. Leaving the money in its current retirement plan could protect your retirement assets from any creditors if for some unforeseen circumstances your new business does not succeed. Just make sure you don’t get in a habit of having a trail of old 401ks laying around with multiple previous employers. Not only does this make it harder for you to keep track but it can also get really complicated when you do retire. If you are unsure of how to proceed with your options or still have questions it is a good idea to call a tax adviser prior to choosing your distribution option.